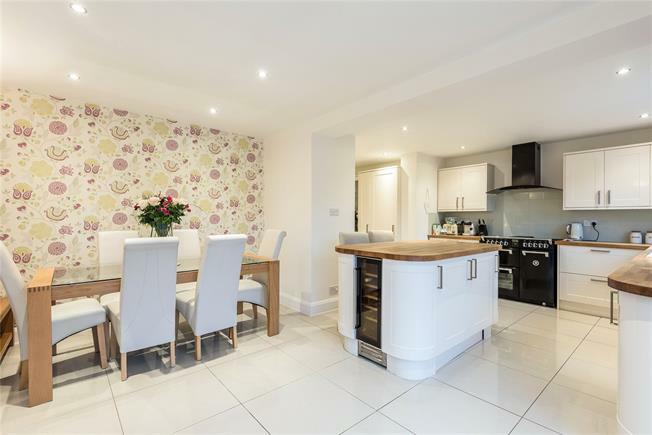 4 Bedroom Detached House For Sale in Bromley for Guide Price £700,000. Stunning four bedroom extended family home set on a corner plot. This magnificent property offers over 1650 sq ft. and has been renovated and well maintained by the current vendors. The ground floor briefly comprises; entrance hall, fabulous through reception room, bedroom four, lobby area, shower room with WC, utility room and a 21' x 14'8 kitchen/dining room with an island. The first floor has a stylish family bathroom and three double bedrooms. Externally the rear garden offers a patio area, lawn, two sheds, a further decked seating area and to the front there is off-street parking. The property is located close by schools of good repute including Pickhurst Academy, local bus routes and is accessible to West Wickham, Hayes and Bromley South stations and High Streets. Viewing highly recommended.